1. Weave in eye-catching details. 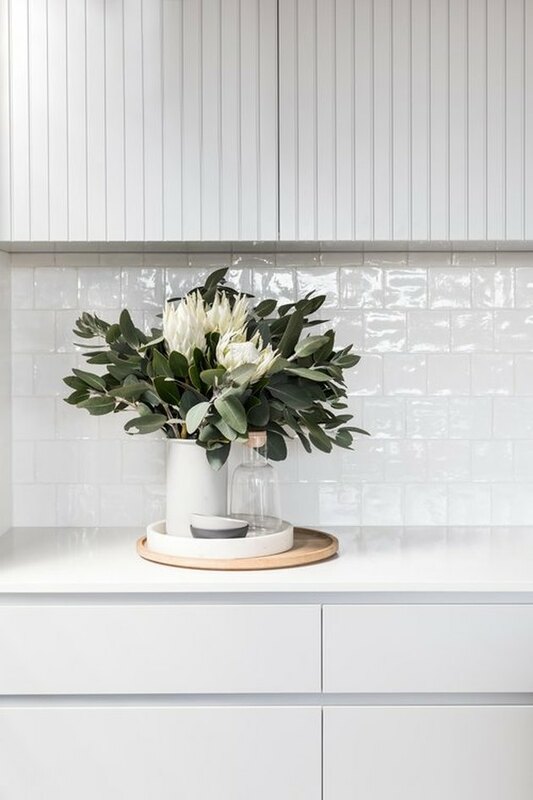 When she renovated her own kitchen, designer Emily Henderson gave her white cabinets a bit of an upgrade by installing glass inserts with a crisscrossed pattern. It's a design touch that's unexpected, plus it allows her to quickly see her kitchen essentials. If you have white cabinets, give them a little kick by swapping out your current pulls for more stylish ones. 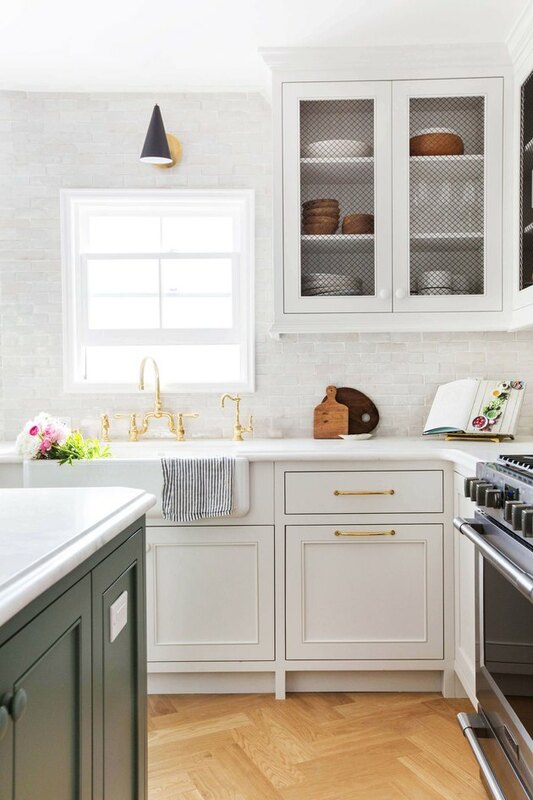 In this farmhouse-style kitchen designed by Stefani Stein, the glimmering gold pulls steal the show and pair well with the other gold elements throughout the space. 3. Consider cabinets in multiple sizes. 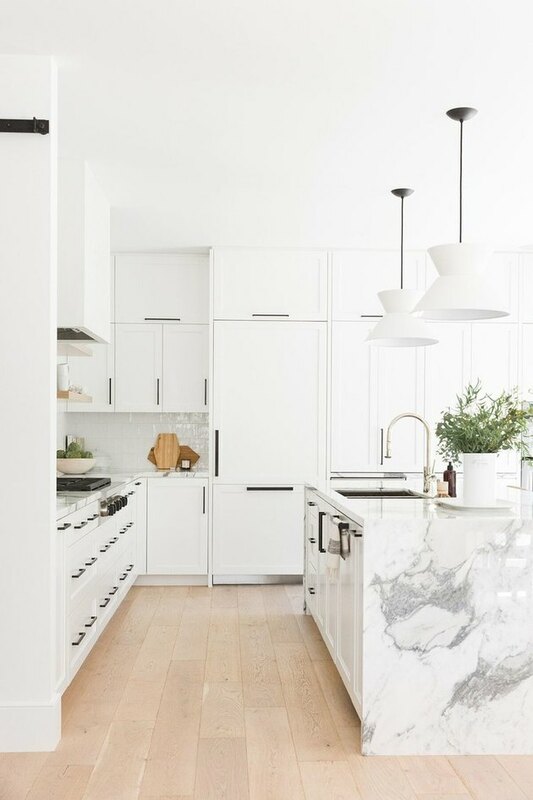 For your kitchen, white cabinets in varying shapes and sizes can provide aesthetic value and give you a variety of places to stash away small appliances and other kitchen tools. Shea from Studio McGee did just that in this gleaming kitchen, so there is a cabinet perfectly sized for every oversize bowl and organic-shaped charcuterie board. 4. Create balance with a darker wall paint. Allow your white kitchen cabinetry to be the star of the show by setting them against a darker backdrop. 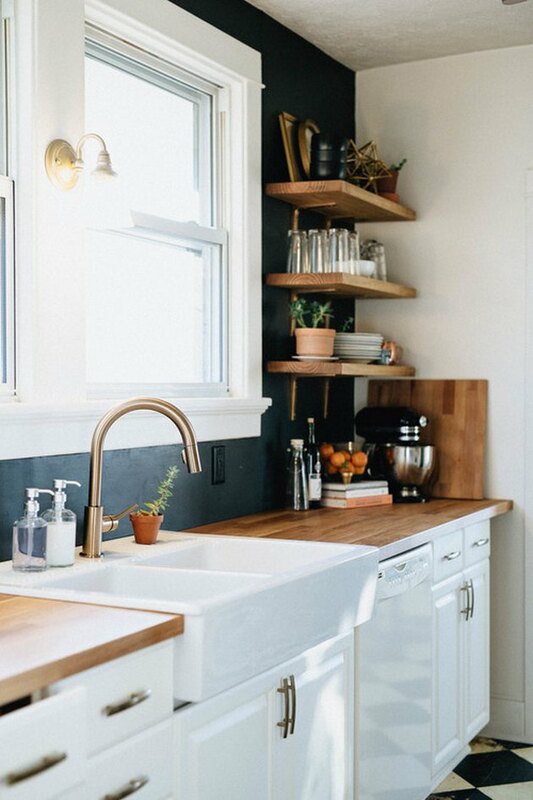 Cameron and Mindy from The Brauns painted their kitchen wall black so the cabinets would really pop, not to mention beautifully balance the diamond-patterned floor. 5. Place white cabinets in an island. 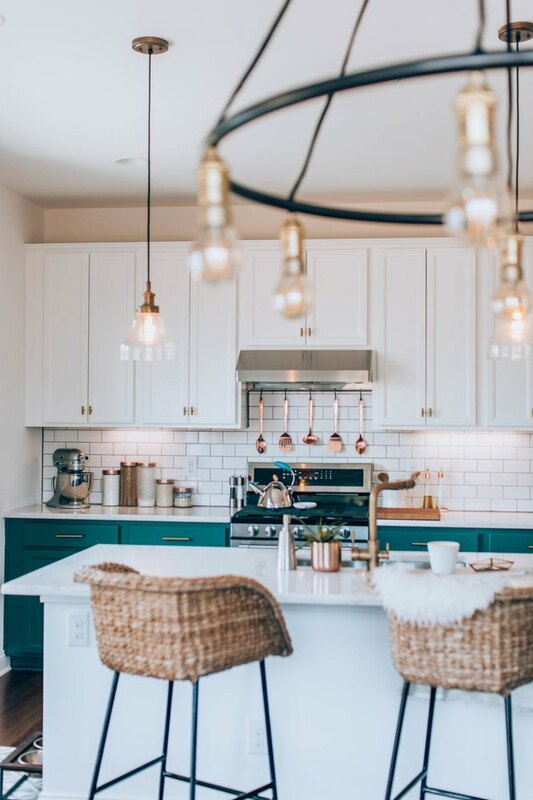 Think beyond the traditional placement of your cabinetry and install some white cabinets in your kitchen island like Ashley Rose from Sugar & Cloth. It'll allow your white cabinetry to shine on its own, plus give you additional storage. Shiplap is everywhere these days, and cabinetry is no exception. In a kitchen designed by Three Birds Renovations, subtle, vertical shiplap adds something special to these white cabinets. And we think the modern pulls look pretty cool, too. 7. Add glass door fronts. Consider installing glass door fronts in your upper cabinets to mix up the look of your white cabinetry — and proudly display your beloved kitchen must-haves. The glass-front cabinets in this kitchen designed by the team at Lindye Galloway Interiors look sleek and sophisticated. 8. Match your hardware to your backsplash. 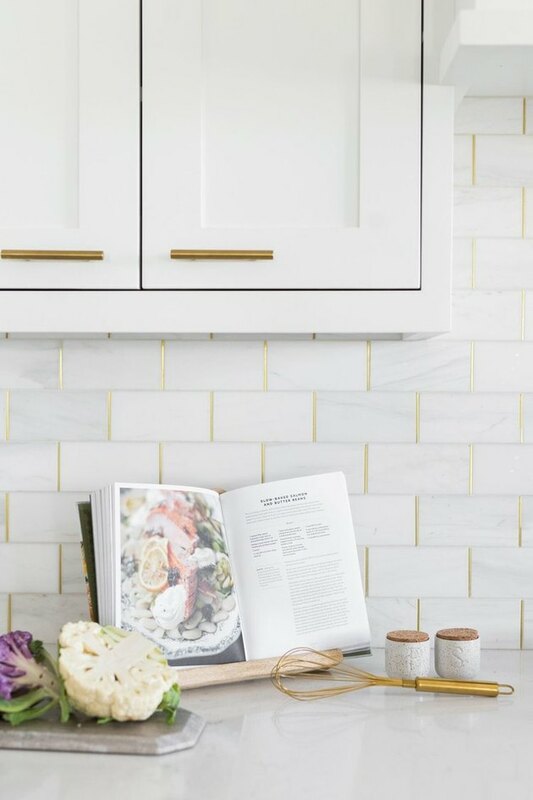 If you really want to get creative and craft a cohesive look, you can match the pulls on your white cabinets to a hue in your backsplash. 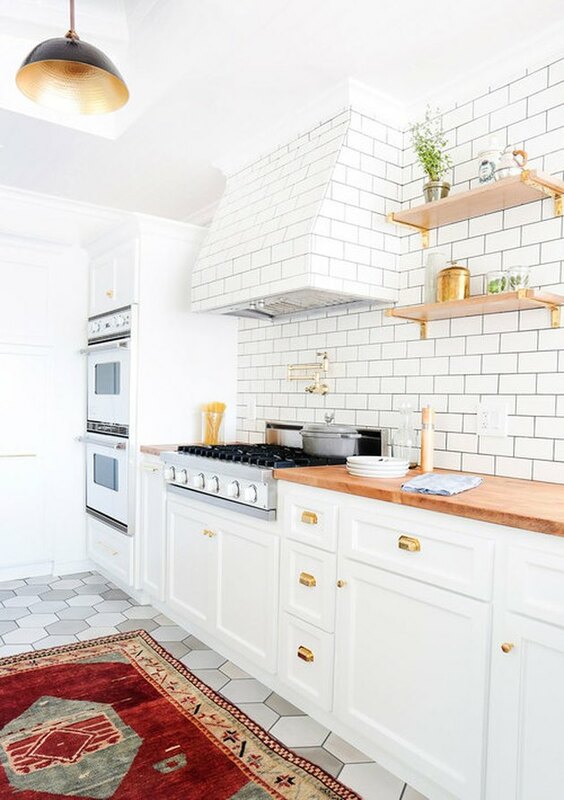 Shea from Studio McGee did just that and created consistency in this kitchen with gold cabinet pulls that seamlessly match the gold grout in the subway tile backsplash. 9. Go with a streamlined, integrated design. Scandinavian kitchens are often quite linear and streamlined, and you can apply that same principal to your own white cabinets. The team over at Frame Design Lab kept the look in this cook space clean and modern by using flat panel, full overlay cabinet doors and we wholeheartedly approve. 10. Opt for a two-tone look. Who says that you have to go with all-white cabinets? To bring in even more visual appeal, install cabinets in two different colors. 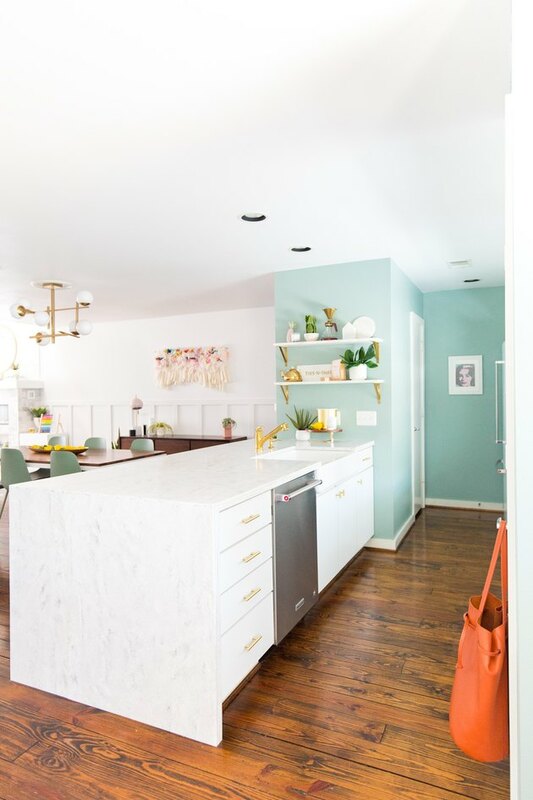 Ashley, from the blog Ashton, redesigned her kitchen and went with this two-tone look showcasing white upper cabinets and teal green lower cabinets. Très chic! 11. Or mix with open shelving instead. 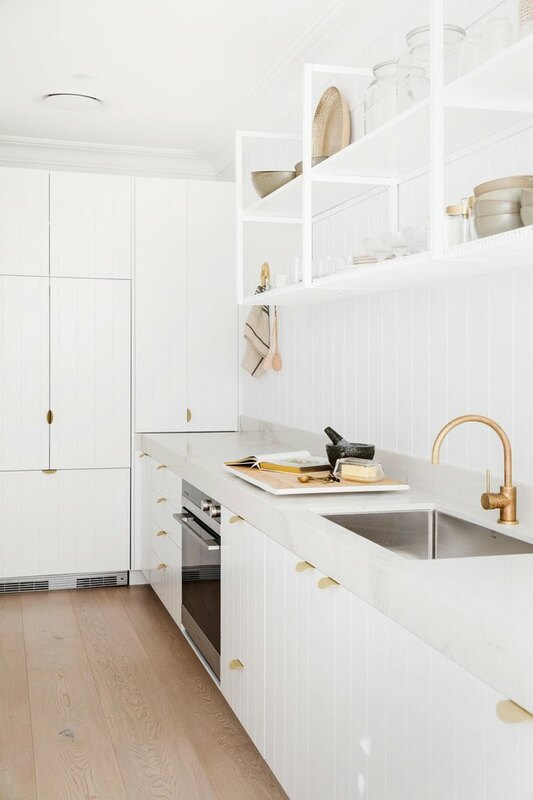 Combine your love of white cabinets with open shelving instead. 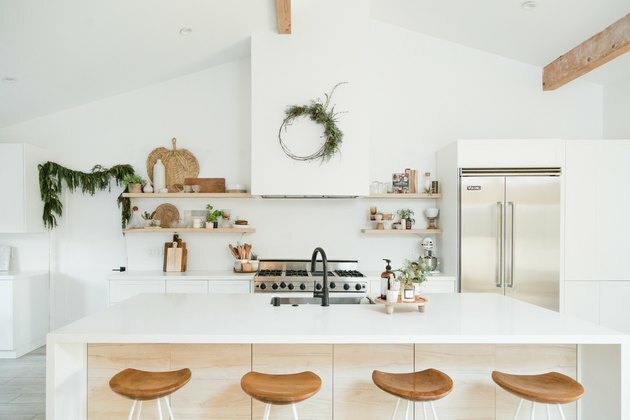 We love the way these floating wood shelves instantly warm up Amber Thrane's stunning kitchen. And bonus: Now you can prominently display your prized collection of ceramic dinnerware. 12. Take a departure from traditional white. 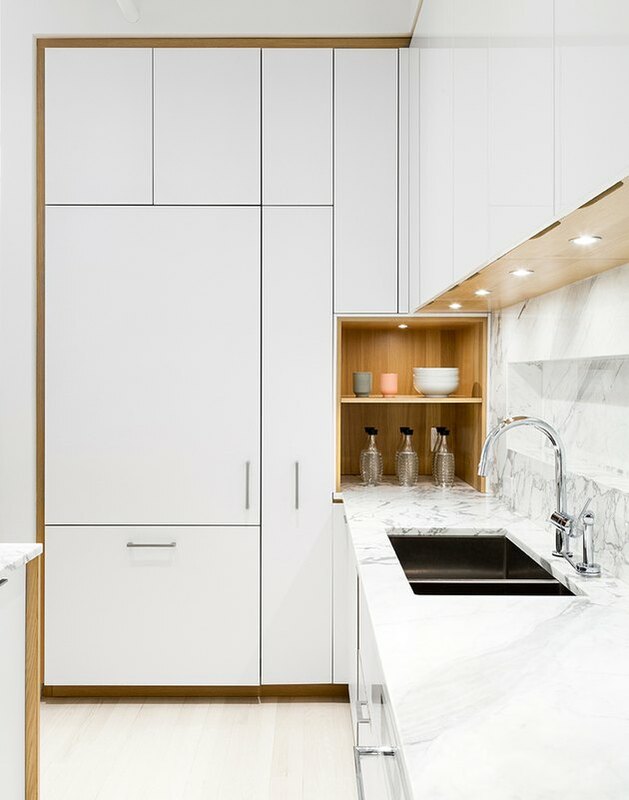 If stark white cabinets aren't your cup of tea, you can always tweak the color slightly, perhaps in a beige or greige direction. 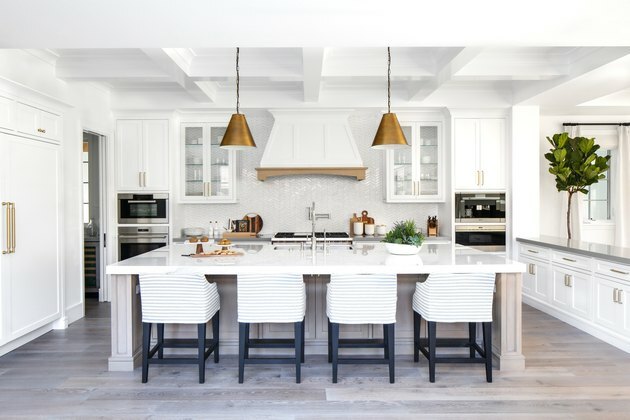 In this kitchen designed by Catherine Heraghty of The Stables, the cabinets are ever so slightly gray but still appear to be white, so you don't lose that bright and airy look we all know and love.